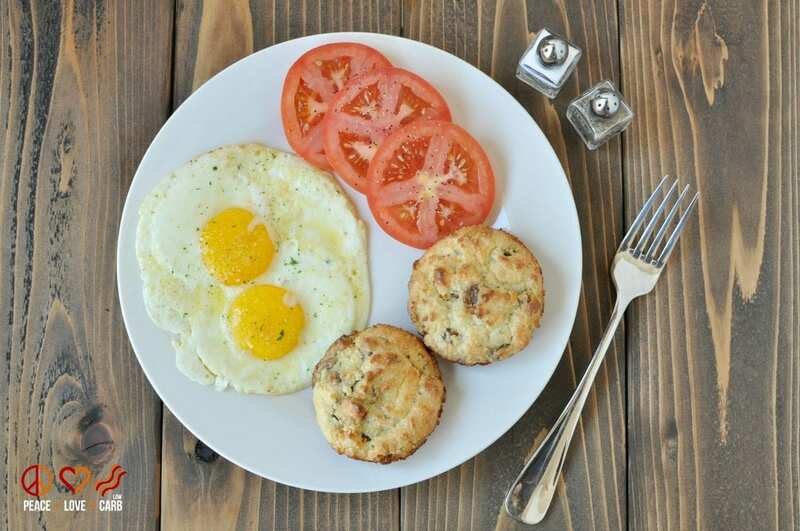 These Keto White Cheddar Sausage Breakfast Biscuits are perfect for any meal – breakfast, lunch or dinner! 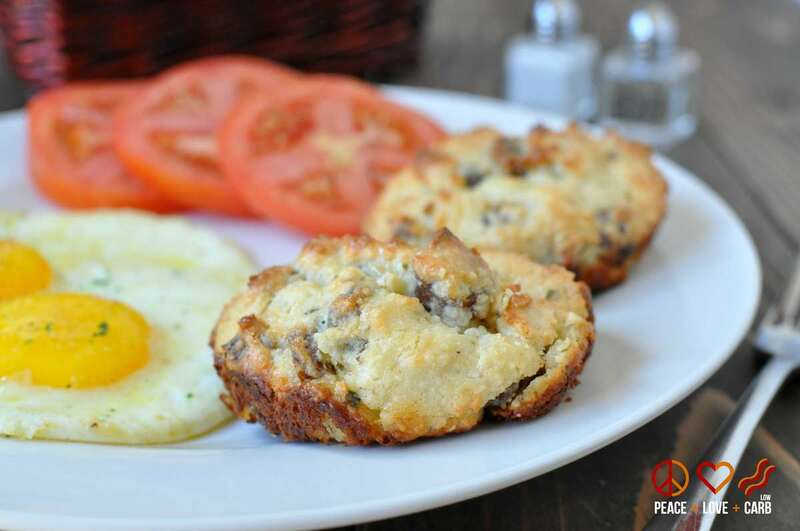 White Cheddar, Sausage Breakfast Biscuits – Low carb and gluten free. Sound to good to be true? Oh, it’s the truth my friend. They taste just like the real deal. I woke up this morning with a craving for biscuits. So, I whipped out my muffin top pan and went to work. At first I planned to make the Cheddar Dill Biscuits from my book and then I decided to get creative with things and make a new recipe entirely. Aubrey wanted me to be sure and tell you that these biscuits were “kid approved”. In fact, this batch makes 8 biscuits, which was 2 for each of us. Towards the end of the meal, Jon was bribing Aubrey for her second biscuit. That’s a WIN in my book. Think that biscuits are off the table in your low carb, primal lifestyle? Think again. Here is a low carb and gluten free biscuit recipe that will leave your whole family asking for more… I know mine was! 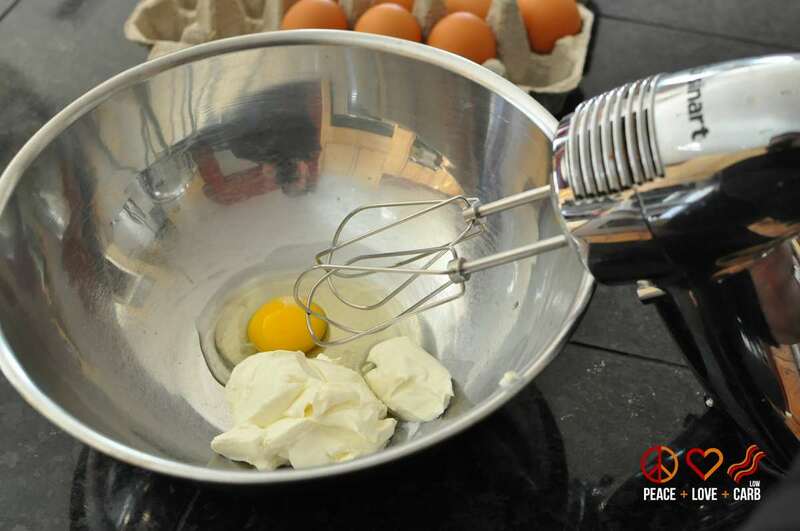 In a medium bowl, using a hand mixer on low speed, whip the cream cheese and egg together. Add the garlic, chives, sea salt, and Italian seasoning. 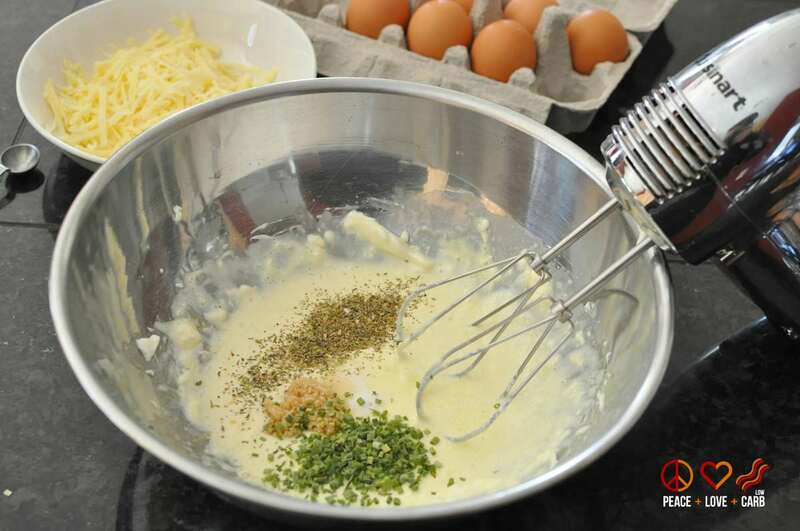 Mix the seasonings into the cream cheese mixture. 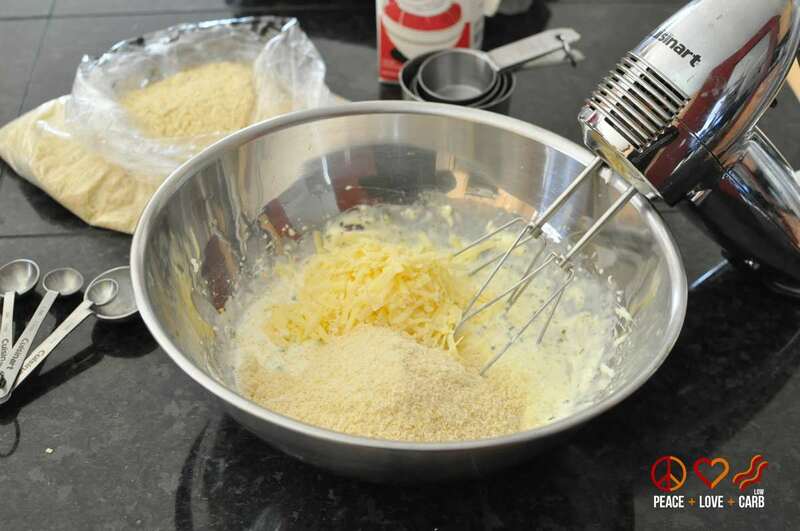 Add the almond flour, cheddar cheese, heavy cream and water. Mix until all the ingredients are well incorporated. 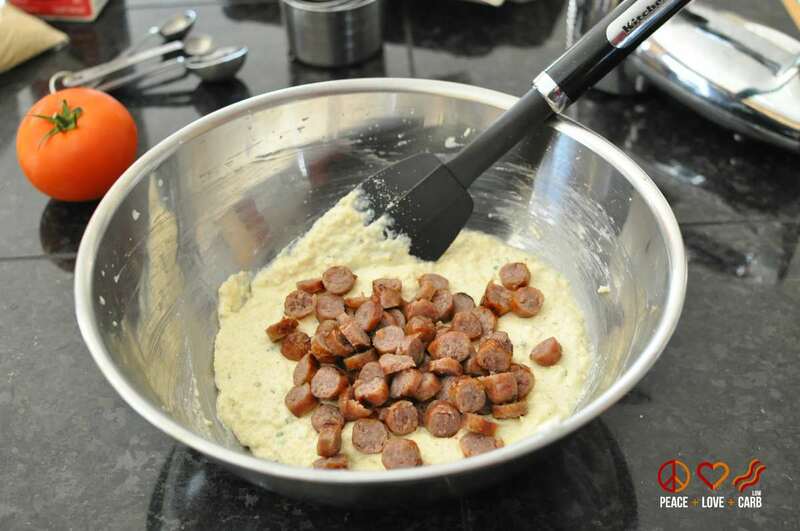 Using a rubber spatula, fold the sausage into the mixture. Drop the dough in heaping mounds into 8 wells of a lightly greased muffin top pan. Bake for 25 minutes. Let the biscuits cool in the pan before removing. What other pan can you use, I don’t have a muffin top pan?? Ty so much for the quick reaponse! Would be nice if the recipe showed here. My hubby is hungry! ???? I also already signed up but, had to do it again. Not cool. You did fix it and you ROCK!!! Just printed and I’m making them now. Your recipes are the best. Thank you, thank you!! I personally use a brownie pan that has 12 squares. I get 10-11 squares and really like them this way. Do you think these would reheat in the microwave if stored in the fridge? If I wasn’t head over heels for my husband – I might leave him for you????. These were that good! Thank you for all that you share and your lovely cook books. Just wanted to let you know how awesome these are! I make a batch and wrap in waxed paper, then a freezer bag. Pop one out of the bag into the microwave for 1 minute on high, grab a hard-boiled egg and coffee and head to work! I must admit I will have them at other times but for a fast morning, they are absolutely perfect! Thank you! Yay! So happy that you enjoy them. They are a big hit in our house as well. Thank you so much for taking the time to come back and tell me. They do reheat in the microwave too! I can’t see the recipe ingredients. Are they on the page? I am having an issue with the site. Trying to fix it right now. Awesome blog – I’m right there in the same boat with you. Lost a bunch of weight, blogged about it, gained it all back, and then felt embarassed about the whole thing. Like you, I’m back at it! I’ll be following your progress! Onward! These were delicious! I’ve had one every morning for 3 days ???? 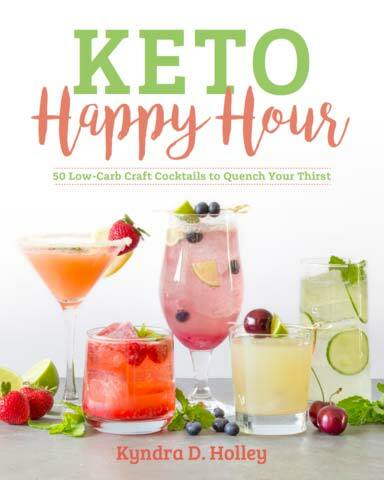 Just got your cookbook and have already tried 5 or 6 recipes with great success. Your granola is a favorite in my house and they don’t know there is no grain in it HAHA! I am currently making the cheddar dill biscuits and as I was dropping batter in muffin pan I noticed “muffin top pan” I was wondering if I should cook them longer or at a higher temp to make sure they cook through in a muffin pan? As soon as I saw this recipe I ran out and bought everything I needed to make it. I kept searching my history to find the recipe and kept putting in sausage muffins. I couldn’t find it! So I finally did a search for just sausage and… ta-da! There is was!!! Biscuits! Not muffins! Oh, I am so blonde. But now that I’ve found it I can make it. And I’ve pinned it so I can make it again! These look great! Is there a nut free flour I can use to make this? Unfortunately, I have an allergy! I see this is an old questions, but I’m going to chime in–I’m going to try these with ground flaxseed instead of almond meal. The fiber content is so high, ground flaxseed is basically a carb-free food, so I use it in place of almond flour quite often. I can’t wait to try this recipe with my substitution! Hi, Elizabeth. I’m just seeing this recipe now… were you successful in your substitution? Just made these. I used regular white (cheddar-ish) Irish cheese since I don’t like sharp and crumbly sausage. I baked in a brownie pan and got 12. I doubt there will be any left by tonight after the 2 of us DEVOUR these. These are SERIOUSLY amazing. I’m so glad I have enough ingredients to make another batch tomorrow. I’m not a fan of eggs and these are going to take the place of eggs in a LOT of breakfast appearances. Thank you so much! Love these. I have made them many times. Hi – this is a great recipe and I will definitely make these again! I may try adding some baking powder next time to try to give them some fluffiness – have you ever tried that? If so, how did it turn out? Also, I thought I might swap a creamy fat that I have (sour cream or full fat yogurt), in place of cream cheese since I’m out of that. Have you ever tried that in this type of recipe? Excellent recipe!! Will be making this frequently. Next time I will soften the cream cheese to make it easier to mix. Thanks for a great recipe. Where can I get your cookbook…name of it ? 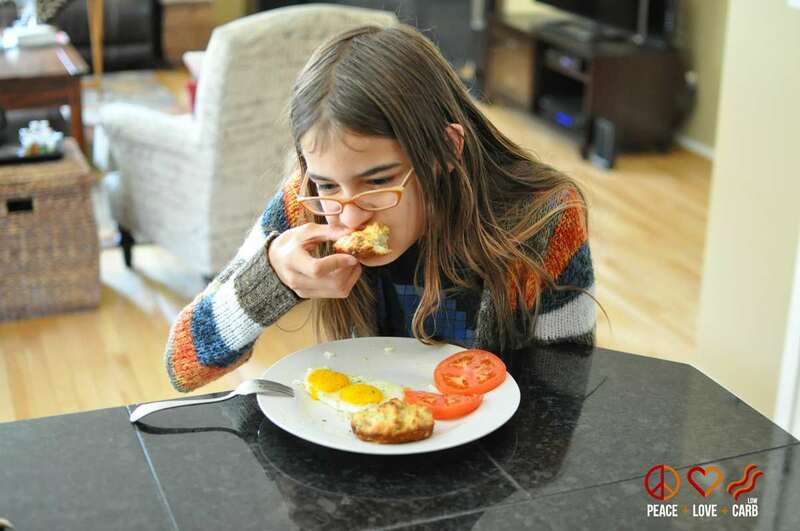 Our family is on a low carb , low sugar eating plan and we r searching for recps. . Thanks do much for sharing all the yummy recps on facebook. Carol G.
I made these a while ago and love them. Don’t make the same mistake I made of spraying the pan way too much as they will turn out greasy. I will pay more attention to the instructions next time. Definitely a keeper! I made these tonight and they are delicious!! Mine were a bit crumbly. Didn’t stay together. Any suggestions? Maybe my sausage was too large of chunks?? These were really good. I made some major tweaks though, I decided to go with a sweet theme instead. I had some blueberries so I mixed almond extract, vanilla extract, cinnamon, nutmeg, and ginger. I kept the shredded cheese but used mozzarella as that was what I had on hand. I sprinkled a little stevia in as well. The result was sweet, fruity, and nutty. The only issue I found was that my batter was really moist and it didn’t really get that flaky or crumbly texture that you expect in a biscuit. They were more like a muffin texture. I think next time I’m going to mix in a little bit of coconut flour and some baking powder. I let them cool a little bit and slathered them with butter and they were great. Wow! You created a whole new recipe. When made with the ingredients listed, it definitely has the crumbly biscuit texture. HOLY SCHMOLEY! These are AMAZING!! Thank you for sharing! I just made these and OMG! They are amazing!!! Thank you for sharing such an amazing recipe! White cheddar, sausage biscuits is my first low-carb recipe, and they’re delicious! 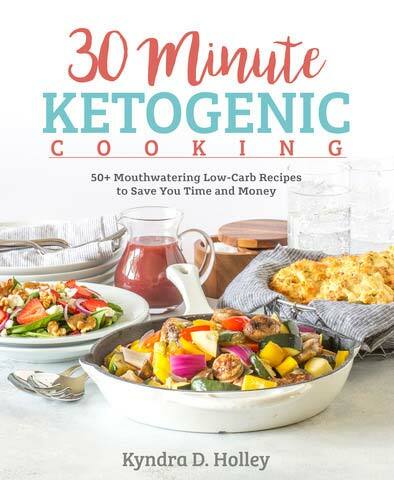 My husband has gone racing for the weekend, so I’m practicing a few of your recipes in hopes of successfully completing 60 days of low-carb (plan to go keto at some point). By sharing these foods with hubby, am hoping he decides to join me in getting healthy. Back to the biscuits–this first batch actually filled 10 full-size muffin cups. Maybe I put in too much sausage, did not weigh it. Anyhoo, I have a habit of many years where I eat a slice of hazelnut toast with my coffee every morning. Your biscuits are going to make this change EASY. Tomorrow I will be trying the crockpot kickin’ chili and a chocolate mug cake that may save me when things get rough. Thank you very much for sharing all this information and help with us. I know I can do this now. Love your site! Awesome recipe. I didn’t have any sausage but I had some bacon I had to use up so I subbed that for the sausage. Left everything else the same. DELICIOUS! 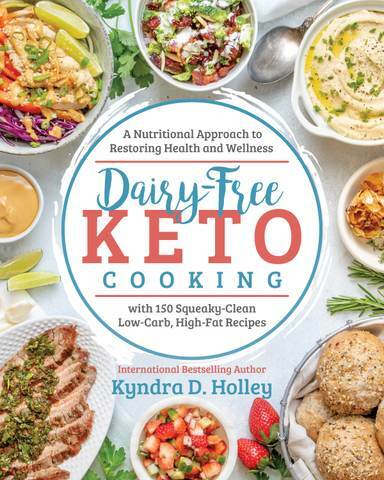 Even my non-grain-free non-LCHF friends and family loved these! Every recipie I’ve made of yours to date has been a winner….thank you for all you do! I’m addicted to these for sure! I’ve made them numerous times. I made a batch this week and used a fine ground almond flour as opposed to the regular almond “meal” flour I had been using. The difference is pretty amazing and I don’t like this batch nearly as much. Totally different texture and oddly enough, a slightly different taste. Just a heads up on that, not sure if anyone else has found this to be true. hi. I was wondering how can sausages be deemed a whole food when it’s a factory processed food full of salt, sugar and chemicals?? Easy, I buy clean sausages. Some great clean and even whole30 approved brands to check out are Hemplers and Insernios. They are in most major grocery store. Hi love! Just made these this morning && omg SO GOOD! Im not sure went wrong with mine but they are SO crumbly, they didn’t form together at all.. any tips?? Happy Friday! Just letting you know that I featured this recipe today in my Low-Carb Recipe Love on Fridays. I hope a lot of my readers will try it! Thanks so much for including me. I will definitely share it. Have an amazing weekend. These are delicious. Should they be stored in the fridge? 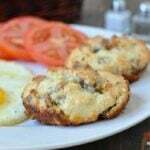 I made these this morning with some sausage scrambles and they are so good! Will definitely make these again. I got up at 5:30 am to make these for my and my husband’s breakfast. My 6 year old got out bed & decided she needed one for breakfast too. After we were ALL completely blown away with how fantastic these were, I had to come home from work and make another batch to make sure everybody had enough for breakfast the rest of the week. Another winner from Kyndra!!! Thanks for all you do and share!! I have made this recipe several times now, and every time it gets gobbled up by my family! So yummy! Now I double it when I make them. Thank you for sharing it! Just made these and I’m in love! I used half almond flour and half flaxseed meal and they came out great. Also used a spicy habanero cheddar since that’s what I had on had – so good! I baked them on a rimmed tray with a Silpat and got ten biscuits. I had two on each plate and when my husband came to get his he added a third biscuit before he had even tasted them! =) We are doing low-carb again after years away from it and it’s a whole new world. I’m so excited to be able to eat biscuits that taste just as good as the full-carb version and was thrilled to discover your blog last week. I’ve already made three of your recipes and have about a dozen more bookmarked. Thanks, Kyndra! WOW. Just made these to snack on during the week…so GOOD. Moist, tasty, i ended up eatimg 2. Not sorry. Thank you, again, for another great recipe! 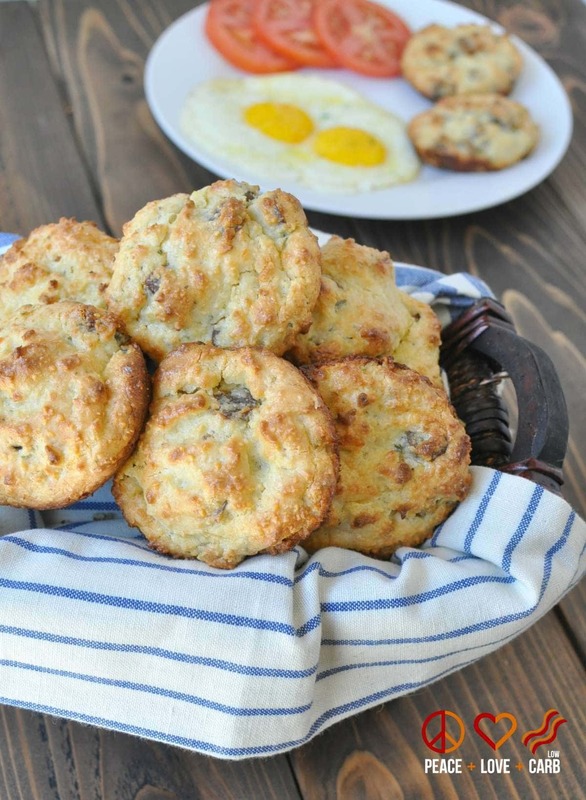 I’ve made a lot of low carb breakfast biscuits over the years and these are by far the BEST! My muffin top pan makes 6 not eight, so I just made them a big larger. They taste to me like Red Lobster Cheddar Biscuits with sausage and more herbs. Don’t substitute garlic powder, the fresh garlic and chives take these over the top. Make them exactly like the recipe. Awesome, Awesome recipe!!!!! Boy am I glad I ran across this recipe. God bless you for sharing. These are the best ever!!!! These are delicious but baking them on a sheet pan didn’t do them justice. The batter slumped as it baked and they took on a puddled look. Not an appetizing appearance but quite tasty none-the-less. I need to get a brownie pan or a muffin top pan. I’d even try them again in a regular cupcake tin. And I will definitely make them again. These look great I did a recipe and a half because I only have a mini tart pan with 6 wells and it’s much bigger than a muffin top pan. I also swapped half the amount of almond flour for coconut flour and added 1 T of psyllium husk and 1 teaspoon baking powder. I used kielbasa and jalapeño kielbasa. They’re in the oven can’t wait to try them with a large dinner salad! Was hoping to do some make ahead breakfast meals to freeze. Has anyone perfected the art of freezing these? Just made these and wow..delicious. I divided into 12 muffins and it was still enough batter to make a filling portion. I see pictures but I can’t find the recipe anywhere on this page. Sorry. There is an issue with the site and I am working to get it fixed. I really want to try these.. when I pull up the recipe, I only see pictures, not a recipe? I must be an idiot because I don’t know where the recipe ingredients and directions are listed in this article but I sure would love to try it???? Sorry. Having an issue with the site. Trying to fix it. IT is fixed now and I can’t wait to try this recipe. It sounds delicious! Hi, where is the recipe? So yummy!! I made theese with sausage and without. I served them with aspargus soup. Thank you for recipe! Thank you!! 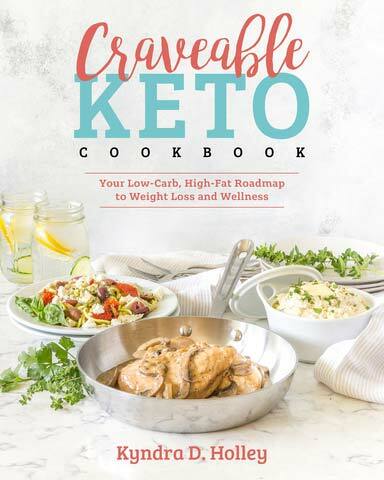 My first low carb recipe and it was amazing! Her recipes are always so good! I used the last of my not favorite choice of almond flour, and these were still delicious. Subbed out half the amount of chives because I only had the dried chives. Also, used crumbled bacon from Costco instead of the sausage. Loved these! Would be great during thanksgiving too! I used Spicey ground sausage. Delicious. These biscuits are just so dang gooooood 😉 I’ve already made them three times. My mother is super picky and even she likes them. Hello, I made this recipe a couple weeks ago and they turned out amazing. So amazing in fact that my non keto husband ate most of the biscuits, leaving only 2 for me. Planning on making more this week. I made these for the sole purpose of making keto Thanksgiving dressing. My plan was to make them, chiop/crumble them up to dry in the oven and carry on with dressing *I* can eat with our Thanksgiving meal. My non-keto dressing has sausage in it anyway so this saved a step. Of course I had to try one ‘just to make sure’ when they came out of the oven and WOWZA! So delicious! I used regular sharp cheddar, subbed 1/4 c of flax meal for 1/4 c of the almond flour and used a regular muffin pan. This filled up all 12 cups to almost even with the rim. I’m hooked! Thanks for this recipe! Is water necessary? Can I use half a cup of heavy cream instead or would that mess them up? I have made this many times over the last couple of years. Absolutely love them! I’ve made these multiple times over the past year, and they are DELICIOUS. 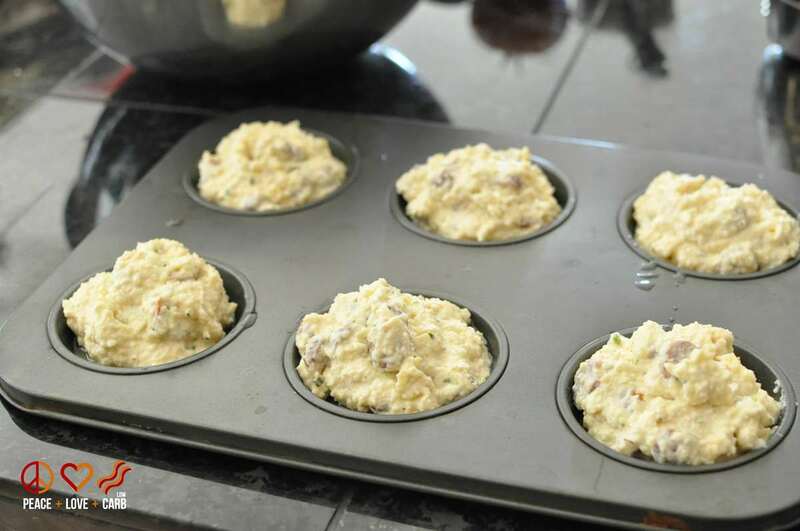 I use a regular muffin pan, and this recipe makes 10-12, depending on how much I fill the muffin cups. I will say that in two different ovens, I have had to bake a bit longer than 25 minutes, more like 30-32. SO YUMMY. These are seriously delish! And super easy. I used a cupcake pan, it made 9 biscuits. A new staple! And the kids loved them! These are great! My cream cheese wasn’t super well softened so I made sure the water I added was hot— a good trick if you’re in a hurry! Everything smoothed right out and these baked off perfectly in my muffin top pan. Thank you! Just found Kyndra 3 months ago and SO thankful I did! Every one of her recipes, I’ve made so far, have been amazing! This one is no exception—my “I’m-not-giving-up-carbs” husband even said they were very good. Thank you soooo much, Kyndra! I’m going to makes these for the Chili dog pot pie casserole recipe. Have you tried making the biscuit batter ahead, not baking it for a day or 2 ahead to drop the dough on top of the chili dog casserole? I’m trying to make it for a quick weeknight dinner? I was nervous because I’ve never made biscuits from scratch. These were fabulous. We all devoured them and I will be making them again. 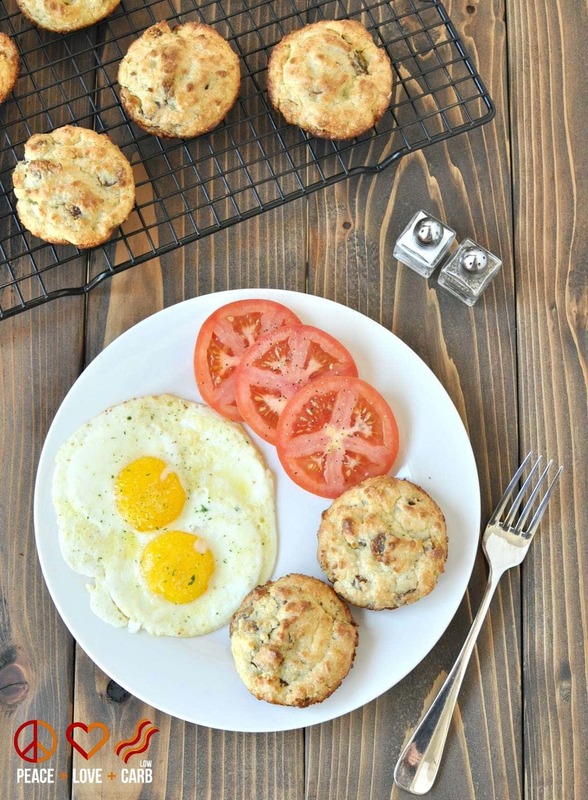 I make this recipe with crawfish, I call them cajun carwfish muffins! My husband loves them! I just replace the italian seasonings with cajun and the sausage with cooked peeled crawfish. With a side salad these make a wonderful late brunch or dinner.